American Express used to offer the ability to refer anyone you gave your own personal referral or recommendation link to a range of their products – earning you bonus points in the process. The best bonuses to be found were in the Membership Rewards card range. You needed to hold a card of the same ‘currency’ as the one you were recommending – so a Qantas American Express would only be able to earn referral points for Qantas branded cards, and likewise for Virgin and Membership Rewards cards. It has been a great way to earn some top up points for people in the know, who others turned to advice – you could send them off to apply for a product you recommended, with your referral link, and often with a higher bonus for the applicant than otherwise publicly available AND some bonus points in your pocket too. Quite a few people recently have emailed me or commented noticing that I’ve pulled some of the American Express card offers down over the last week or so – these were run through the referral scheme which was taken offline for ‘maintenance’ a couple of weeks back. I was waiting to see if it returned – which it hasn’t – although Amex are convinced through their customer service channels and social media that it should be back up ‘within a month’. @newformula We will be aiming to have our referral program back within a month, is down due to maintenance. Sorry for any inconvenience. I don’t have any other insights to this action by Amex and why they may have taken it, but I felt it was worth giving you a heads up on the removal of the program for the immediate future, and the lack of offers now available through my referral. Hopefully it will come back with a bang in a month and with an updated range of offers and products available – OR the program is going to fade into oblivion. Obviously I hope the former, but am prepared for the latter. The referral program made a breif return last week although it appears that amex has again pulled the link to it. Amex are belt tightening very aggressively just now. And as they get away with it they’ll do it more and more. saw an offer in david jones today – 30,000 signup points (40k on platinum) for the amex david jones cards – seems pretty generous to me! Although this could be funded by DJs rather than Amex? Anyway – offer valid to 1/6 only (three or four day offer from the looks of things) and open to new card holders in the david jones amex card suite. 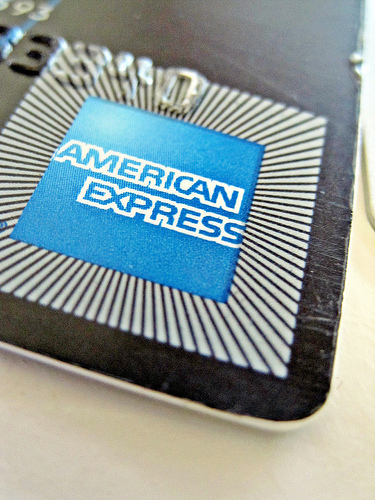 I have an amex but not Djs amex so i have signed up – hopefully they honour the bonus points! These are good deals, but not for Membership Rewards in my opinion – only for Qantas points. Have a read of https://www.pointhacks.com.au/david-jones-american-express/ for why.